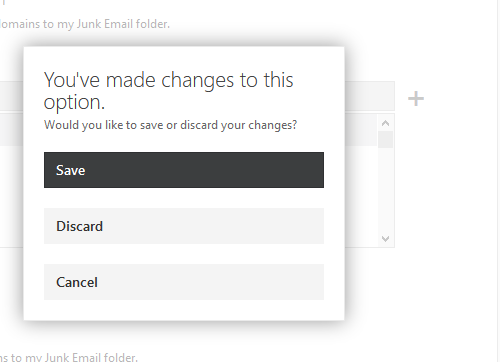 ...for Office365 and 'Outlook for the web'. In a previous blog post we answered the question: Why Whitelist an Email Address? 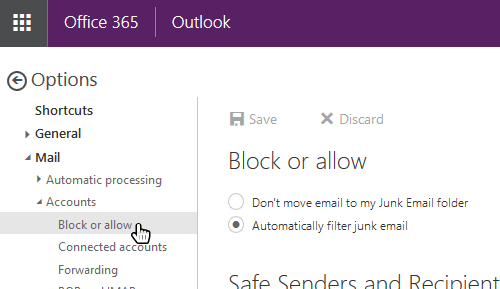 1) Check that you are using the web version of Outlook. Outlook has had a lot of different versions over the years and Microsoft has managed to cause real confusion as to which version is which! This article refers to the web version of Outlook which is known as 'Outlook on the web' as well as 'Office365 Outlook' and 'Outlook for Exchange Server'. Older versions were formerly know as 'Outlook Web App (OWA)', 'Outlook Web Access' and 'Exchange Web Connect'... we're not joking. In 'Step 5' a single email address was whitelisted. 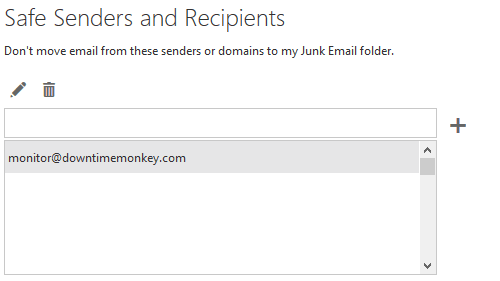 It's also possible to whitelist all emails associated with a domain. 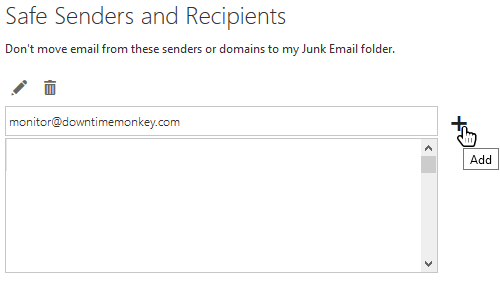 By adding downtimemonkey.com to the Safe Sender field instead of monitor@downtimemonkey.com we would whitelist every email address belonging to downtimemonkey.com.